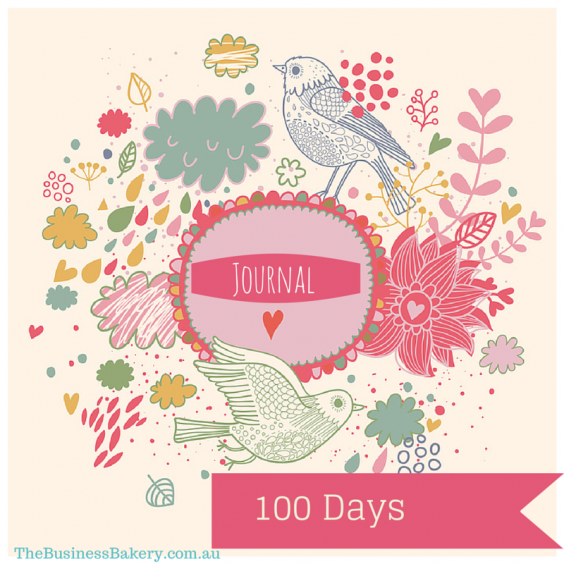 Not very long ago I wrote this post about keeping a 100 Day Journal. And lots of you have told me that you are starting 100 day journals! That is soooo fantastic. I’m totally delighted. In fact if you Google 100 day journal guess what comes up first?! Thank YOU! Now today is actually a VERY good day to start thinking up your 100 day goals. Why? Because 100 days from TODAY is Christmas Eve and next Monday (22 September) it will be 100 days to the end of 2014. Wouldn’t it be fabulous to end the year on a high note? You can! Just start your 100 Day Journal now! If you are starting you 100 Day Journal today-ish, here are TWO things to help! Here are some extra tips. If you’re new to this, read the post on the 100 day Journal FIRST! It’s super-important to think hard about what you want your 100 day goal to be. This is the thing you’re going to be focussing a lot of your energy on. You want to pick the right one, yes? 3. Make it something MEASURABLE – you want to know whether you’ve achieved it or not! 5. Make it something that’s USEFUL to your business. Don’t get sucked into ‘vanity’ metrics (eg the number of Facebook Fans you have) unless you can see how that is going to turn into something worthwhile, like sales. 6. Number of Sales is a GOOD 100 day goal but is not the only one! Pick something that feels right to YOU! This is a very good and FUN thing to do. Every day take a few minutes to visualise achieving your goal. You don’t need any fancy techniques, just simply close your eyes and imagine how you will feel when you reach your goal! Visualising helps keep us excited about our goals, and in a quantum physics-y kinda way helps us achieve it. That is totally TRUE but I might save the details for a later post…..
OK. This works for some people and not for others. If you are the private type feel free to keep your goals to yourself. There’s plenty of evidence to say that keeping your goals quiet WORKS! On the other hand, some of us work harder to achieve our goals if we tell people about them. It makes us feel accountable…. we don’t want to lose face. To share or not to share?! The choice is yours! Super-important. This helps keep your goal at the very front of your mind. Read your goal every day! Try to write down three things you’ve done towards your goal EVERY day. They don’t have to be big things. On the days you’re not working it’s still super-useful to to be thinking about your 100 day goal, so on those days write down your thoughts or ideas. Doing stuff daily helps our subconscious brain to keep working on our goals! FACT! And that’s where all our really good ideas come from! 6. Write down your progress! This is the FAB thing about a measurable goal: you can write down your daily progress! If you’re going well towards your goal it’s very motivating to see the numbers climb. If you’re going a bit slow., well it kinda forces you to try some new activities to reach your goal. Although the latter is painful, it’s a GOOD thing! Free FUN daily reminder for your 100 Day Journal! Here’s a fact about 100 day goals and the 100 day journal: they are very exciting to start but can be tricky to keep going! You’ve gotta remember to do it……and that requires a bit of discipline. Or a reminder! So here’s something you might like! I’ll send you a little reminder every day! I need reminding too so it kinda helps us both! This is totally FREE. Just pop your details in here and from Monday 22 September you’ll get a daily reminder to do your 100 day journal! I might include some other tips and stuff too. We’ll see! Fancy that?! Right. That’s it! 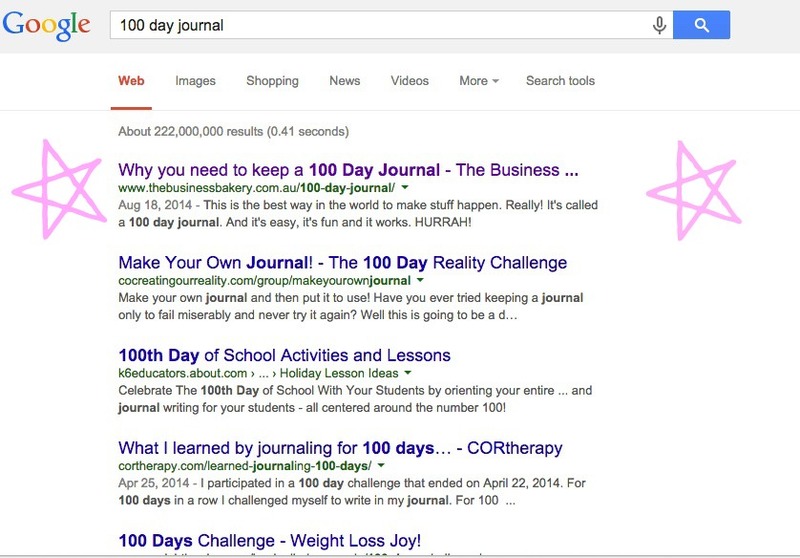 Are you going to start a 100 Day Journal? Tell me! 14 Comments on "TIPS for your 100 day goal and FREE stuff for your 100 day journal"
This is such a great idea! I’m in! OMG!! How did I miss this? Buying my journal this week. Count me in. I am doing this. I have a Goal that I want to achieve and I like the idea of doing it within 100 days. I’ve even bought a cute notebook that has 100 pages exactly so I can track my progress. Bring it on! I’m a day late, but this sounds like fun. I shared a guest post recently about bullet journalling, the benefits and wow didn’t realise how popular it was and so many have enjoyed the concept. So yes, would love to give this a go! Thank you so much!….a super idea! 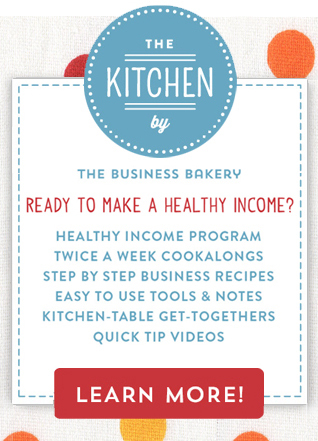 It’s nearly the end of the year and this is a great way to keep me focused on my new business. I believe it’s all in the planning …the planning before you start the 100 day challenge.